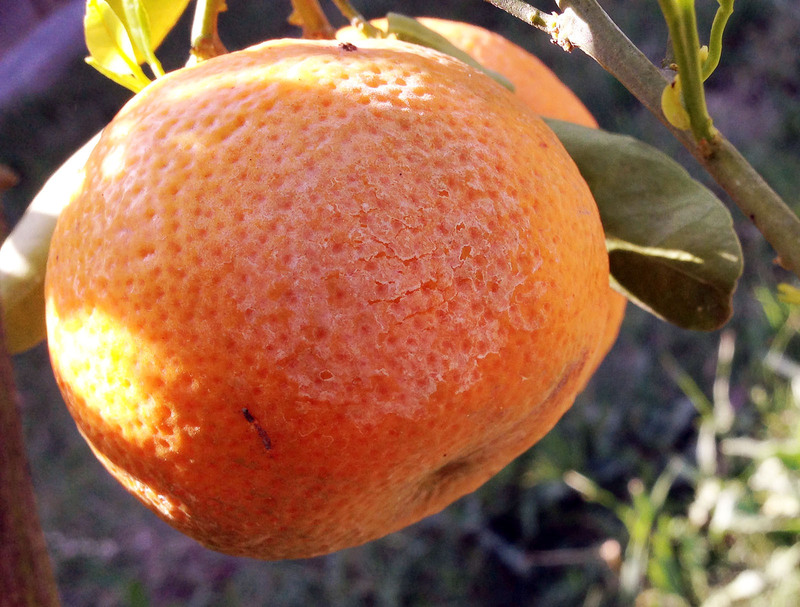 Wild yeast on tangerine skin, still on the tree. There seems to be a common misconception that if a beer is fermented with wild organisms that it will be sour. This is actually not the case at all. Perhaps it's time for a brief discussion about what makes an organism "wild", and what makes beer sour. Which are actually two different things. First let's tackle "sour", and sour beers - which is incidentally a new marketing term for a style of beer that is also new. The super tart, tooth enamel stripping, pucker power beers currently in vogue were considered to be egregiously flawed up until this 21st century. A beer is soured by certain classes of bacteria that create acids (and very little alcohol) as a byproduct of fermentation. Examples of these bacteria would be lactobacillus (think yogurt), acetobacter (think vinegar), Pediococcus (think sauerkraut) and the like. They are often cultured in labs from banks that have been selectively isolated for a number of generations. Unless you are drinking a spontaneously fermented beer from Belgium or Flanders, or a true Berliner Weisse from Germany, you are most likely not drinking a wild beer - even if it's labeled as such. Now let's tackle "wild". First we'll have to understand that most beers brewed in the United States with "wild" or "wild yeast blend" on the label or in the marketing materials are not truly wild. They are fermented with organisms that are propagated from carefully controlled banks of yeasts and bacteria that have very likely not seen any environment other than a lab for many generations. This isn't a bad thing, but it isn't "wild" by any means. A true wild yeast or bacteria would be a bug that is readily available in the ambient environment (i.e. the bugs in true Lambics), or has been surviving in the wild by virtue of its own tooth and nail - perhaps on the skin of a fruit – within the last few years. A true wild beer might be fermented with a yeast, or yeast and bacteria blend, that has been isolated and propagated by a lab. But it should be an organism that has been harvested from the wild very recently. Click on this link for a perfect example. Most sour beers - other than true Lambics, Flanders Reds and Oud Bruins, and true German Berliner Wiesse - are not wild. A true wild yeast fermented beer will probably not be sour - maybe a little funky or slightly tart - but they are not sour. For a beer to be sour (wild yeast or not), it must be "infected" with bacteria that create acids as the by product of fermentation - and most of these bacteria are now propagated from laboratory banks. They are not wild. 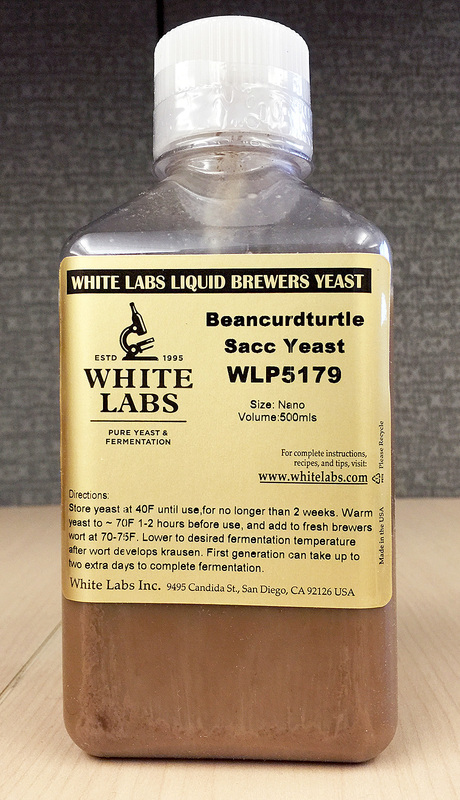 WLP5179 Beancurdturtle Sacc Yeast, one barrel pitch. So now that the cloud of misconceptions about wild and sour are all cleared up, let me say – we have made beers that are wild to the core, but not even a tiny bit sour. The yeast used to ferment the beer is a wild Saccharomyces cerevisiae strain harvested from the skin of a tangerine in the Beancurdturtle Brewing pilot brewery yard in 2015. 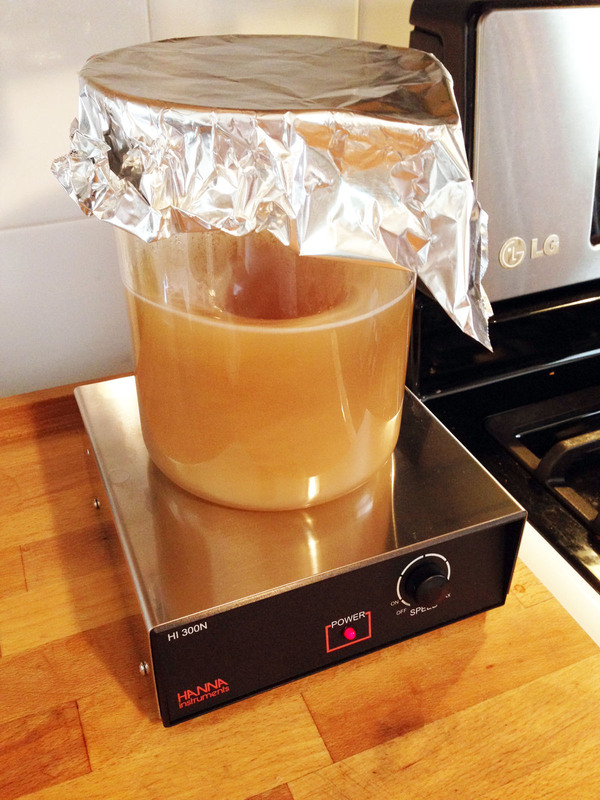 The yeast is professionally isolated and propagated so I can be sure it is clean, not infected, and healthy. The base beer is very clean and light so you can discern the subtle contributions from the esters of the wild yeast - flavors and aromas that are slightly fruity with citrus characters, peachy chardonnay aromas, and hints of an earthy “farmhouse” funk. Wild beers fermented with our wild Saccharomyces cerevisiae strain will be most appreciated by beer drinkers with discerning palates. Probably not the beer drinkers who favor beers with characters like yogurt water, vinegar, and Jolly Rancher candies. But I shouldn't be such a sourpuss as I have sour-head friends who also have sensitive and discerning palates. I hope you get to try a beer fermented with this yeast because it is unique, refreshing, and subtly complex. If you do, just remember – it's not sour, it's wild.